Good day to all! Our weather may be mild,… unlike the financial environment! Despite the six-month reprieve from being cut to junk status, we are not yet out of the woods and over the next six months we still need to practice cautious spending and disciplined saving. Our weather may be mild,… unlike the financial environment! Despite the six-month reprieve from being cut to junk status, we are not yet out of the woods and over the next six months we still need to practice cautious spending and disciplined saving. As you are all aware, local and international economies are under-performing and experiencing poor growth. At times like these, I caution you with regard to unnecessary financial commitments. One should seriously consider the necessity of any withdrawals from investment portfolios during this time. Although the withdrawal may seem slight, the long-term effects are significant and will invariably have negative effects at retirement age. For many, retirement age is no longer 65 years of age, but closer to 70 years of age. In the last year, offshore investment demand has increased. This opportunity has proven difficult for many clients in the past due to the high minimum lump-sum investment requirement. There is now a new product on the market which allows for overseas investment on a monthly debit order basis. This debit order is paid in Rands and converted to Dollars. Should you require any details on this product, please contact us and we can provide further information. Hopefully our crisp winter weather will keep the spirits up and the flu bugs at bay! We are currently upgrading our Risk Benefit client policy information. Please would you inform us of any changes to your occupation, income, education and smoker status. Any changes should be communicated to Andrea Geuthner at our offices. The objective of updating any changes, is to give our clients the opportunity of improved risk benefits and cover at reduced premium rates if possible, more in line with current personal circumstances. In accordance with tax changes made to the Income Protection benefit, this too may need realigning. Changing your benefits from Accelerated to Stand Alone, is another possible option being considered. Over time, Life companies make changes and offer enhancements to risk benefits and this may be a good time to review one’s client’s ever-changing risk needs. Please contact our office should you wish to review your policy schedule. • The medical scheme has the right to suspend member’s membership or that of his/her dependants, without prior notice to the member. Surplus funds remaining in your Medical Aid Savings Accounts (MSA) at the end of the calendar year, are automatically carried over to the following year’s MSA. When terminating your membership, your MSA is transferable to a new scheme, provided that your new plan has a medical savings account. Should the member’s new Medical Aid scheme plan not have a savings component, the surplus funds from your previous scheme is due to the member. The principal of insurance is based on an event taking place that is sudden and unforeseen. The challenge is though, for example, in a case where a concealed water pipe begins to leak due to rust deterioration over many years and is unbeknown to the insured. Maintenance or replacement of this leaking pipe was unforeseen, yet this type of event would not be covered by any insurance policy. This scenario is seen as gradual deterioration or wear and tear. Should the leak have caused water-damage to furniture or carpets, a claim for such damage, would be covered by your policy. I have in a previous newsletter mentioned that Valuators can be arranged to have our client’s buildings valuated. There has been some concern shown by clients, that such valuations seem too high. We have been assured that these values are in line with current building costs. Please bear in mind that the insurers base the replacement value of a building, on new-build costs. Many clients assume that the replacement value would be that of the selling or purchase price of the building or home. In the event of a fire and the total loss of a building or home occurs, the insured may be very surprised when confronted by the actual costs to re-build “like for like” prior to the loss. That is why we recommend that a thorough valuation be done to ensure that buildings and homes are adequately insured to avoid the insurer short-paying your claim. Please contact our office so that we can assist with making these arrangements. Vehicle remote jamming is on the increase! A friendly reminder, to please ensure that your vehicle has been securely locked by testing the handle. Any items left in your vehicle while it is unattended, should be locked in the boot or compartment where these are not visible to passers-by. The latest version is the special voluntary disclosure programme (VDP) which is different from SARS’ ongoing voluntary disclosure programme. It is a chance for noncompliant taxpayers to disclose their offshore assets and income. The incentive to do this instead of waiting for another “final, final” amnesty is that a new global standard for the automatic exchange of information between authorities is being introduced next year. There will be one joint process involving both SARS and the Reserve Bank, so that both noncompliance with tax and exchange control contraventions, can be assessed together. Applications will have to be made between 1 October 2016 and 31 March 2017. Trusts do not qualify for the programme, nor do people who have a pending audit or investigation in respect of their foreign assets or taxes. Relief is not very generous. Half of the money used to buy the offshore asset is taxed, as are all investment returns which accrued after 1 March 2010, and interest on tax debts will start to accrue only from that date. One benefit is that anyone who is accepted in the programme will be exempt from criminal prosecution. When it comes to exchange controls, SA residents will be allowed to disclose and regularise their contraventions. There will be a levy of 5% of their unauthorised foreign assets in the event the funds are repatriated to SA and a levy of 10% if the assets are kept offshore. 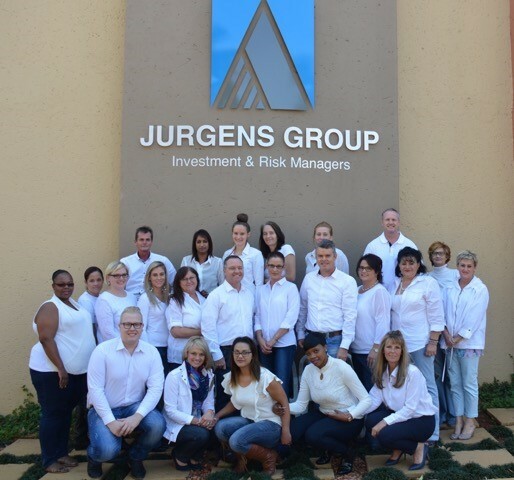 Miguel Araujo joined Jurgens Group in May 2015 as a Financial Advisor. 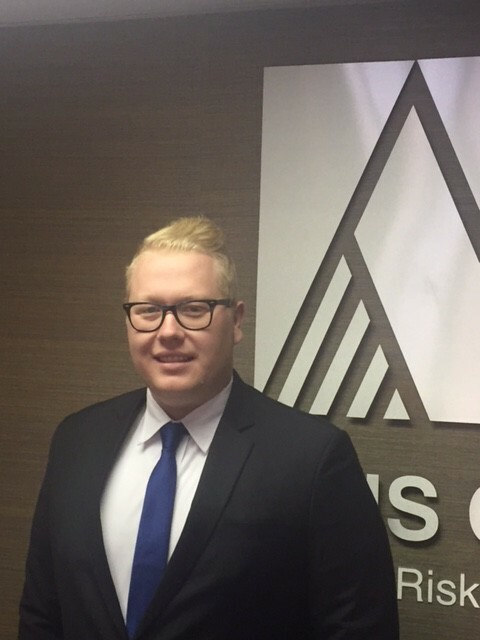 He started his financial planning career with Liberty Life’s Franchise Division for young graduates and in his first year, was awarded “The Chairman’s Young Financial Advisor of the Year Award”. Being of Portuguese decent, he is a huge fan of football… and food. He enjoys travelling with family and friends and Thailand is definitely one of his favourite destinations. Fill out this form to subscribe to updates and the latest news from Jurgens Group.